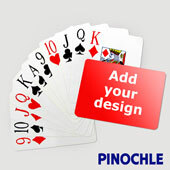 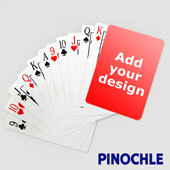 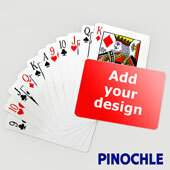 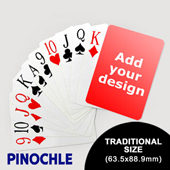 If you're into Pinochle playing cards, then we have just the thing for you. 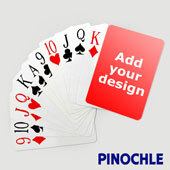 Our custom Pinochle decks are printed with any image file you want to personalize on the back. 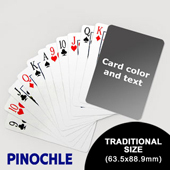 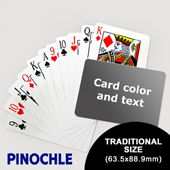 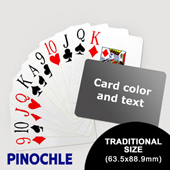 Pinochle card decks is different to standard playing cards where there are 48 cards and the face contains 2 sets of 9, 10, jack, queen, king, and ace cards for each suit i.e. 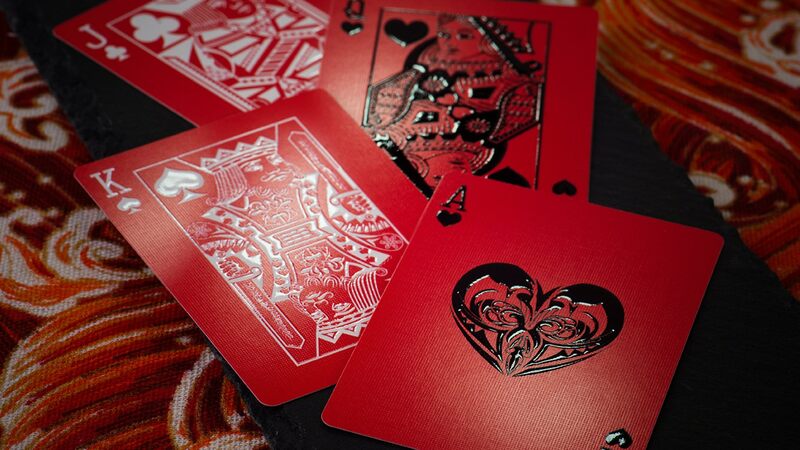 clubs, spades, hearts and diamonds.